For most engineering applications, MKS (rationalized) or SI (Système International) units are commonly used. Two other sets of units, Gaussian and CGS-EMU, are the same for magnetic properties, and are commonly used in physics. In all units it is convenient to employ two types of magnetic field, B and H, as well as the magnetization M, defined as the magnetic moment per unit volume. The magnetic induction field B is given in SI units of teslas (T). B is the true magnetic field, whose time variation produces, by Faraday's Law, circulating electric fields (which the power companies sell). B also produces a deflection force on moving charged particles (as in TV tubes). The tesla is equivalent to the magnetic flux (in webers) per unit area (in meters squared), thus giving B the unit of a flux density. In CGS, the unit of B is the gauss (G). One tesla equals 104 G.
The magnetic field H is given in SI units of ampere-turns per meter (A-turn/m). The turns appears because when H is produced by a current-carrying wire, its value is proportional to the number of turns of that wire. In CGS, the unit of H is the oersted (Oe). One A-turn/m equals 4π×10−3 Oe. The magnetization M is given in SI units of ampere per meter (A/m). In CGS, the unit of M is the oersted (Oe). One A/m equals 10−3 emu/cm3. 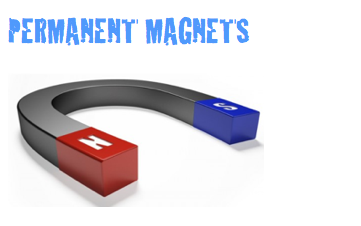 A good permanent magnet can have a magnetization as large as a million amperes per meter. Materials that are not permanent magnets usually satisfy the relation M = χH in SI, where χ is the (dimensionless) magnetic susceptibility. Most non-magnetic materials have a relatively small χ (on the order of a millionth), but soft magnets can have χ on the order of hundreds or thousands. For materials satisfying M = χH, we can also write B = μ0(1 + χ)H = μ0μrH = μH, where μr = 1 + χ is the (dimensionless) relative permeability and μ =μ0μr is the magnetic permeability. Both hard and soft magnets have a more complex, history-dependent, behavior described by what are called hysteresis loops, which give either B vs H, or M vs H. In CGS, M = χH, but χSI = 4πχCGS, and μ = μr. Caution: in part because there are not enough Roman and Greek symbols, there is no commonly agreed upon symbol for magnetic pole strength and magnetic moment. The symbol m has been used for both pole strength (unit A·m, where here the upright m is for meter) and for magnetic moment (unit A·m2). The symbol μ has been used in some texts for magnetic permeability and in other texts for magnetic moment. We will use μ for magnetic permeability and m for magnetic moment. For pole strength we will employ qm. For a bar magnet of cross-section A with uniform magnetization M along its axis, the pole strength is given by qm = MA, so that M can be thought of as a pole strength per unit area. Many materials have unpaired electron spins, and the majority of these materials are paramagnetic. When the spins interact with each other in such a way that the spins align spontaneously, the materials are called ferromagnetic (what is often loosely termed as magnetic). Because of the way their regular crystalline atomic structure causes their spins to interact, some metals are (ferro)magnetic when found in their natural states, as ores. These include iron ore (magnetite or lodestone), cobalt and nickel, as well the rare earth metals gadolinium and dysprosium (when at a very low temperature). Such naturally occurring (ferro)magnets were used in the first experiments with magnetism. Technology has since expanded the availability of magnetic materials to include various man made products, all based, however, on naturally magnetic elements. Ceramic, or ferrite, magnets are made of a sintered composite of powdered iron oxide and barium/strontium carbonate ceramic. 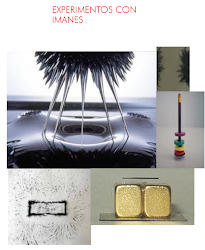 Given the low cost of the materials and manufacturing methods, inexpensive magnets (or non-magnetized ferromagnetic cores, for use in electronic component such as radio antennas, for example) of various shapes can be easily mass-produced. The resulting magnets are non-corroding, but brittle and must be treated like other ceramics. Alnico magnets are made by casting or sintering a combination of aluminium, nickel and cobalt with iron and small amounts of other elements added to enhance the properties of the magnet. Sintering offers superior mechanical characteristics, whereas casting delivers higher magnetic fields and allows for the design of intricate shapes. Alnico magnets resist corrosion and have physical properties more forgiving than ferrite, but not quite as desirable as a metal. Ticonal magnets are an alloy of titanium, cobalt, nickel, and aluminium, with iron and small amounts of other elements. It was developed by Philips for loudspeakers. Injection molded magnets are a composite of various types of resin and magnetic powders, allowing parts of complex shapes to be manufactured by injection molding. The physical and magnetic properties of the product depend on the raw materials, but are generally lower in magnetic strength and resemble plastics in their physical properties. Flexible magnets are similar to injection molded magnets, using a flexible resin or binder such as vinyl, and produced in flat strips, shapes or sheets. These magnets are lower in magnetic strength but can be very flexible, depending on the binder used. Flexible magnets can be used in industrial printers. Rare earth (lanthanoid) elements have a partially occupied f electron shell (which can accommodate up to 14 electrons.) The spin of these electrons can be aligned, resulting in very strong magnetic fields, and therefore these elements are used in compact high-strength magnets where their higher price is not a concern. The most common types of rare earth magnets are samarium-cobalt and neodymium-iron-boron (NIB) magnets. a large ground state spin value (S), which is provided by ferromagnetic or ferrimagnetic coupling between the paramagnetic metal centres. Most SMMs contain manganese, but can also be found with vanadium, iron, nickel and cobalt clusters. More recently it has been found that some chain systems can also display a magnetization which persists for long times at higher temperatures. These systems have been called single-chain magnets. Heating the object above its Curie temperature, allowing it to cool in a magnetic field and hammering it as it cools. This is the most effective method, and is similar to the industrial processes used to create permanent magnets. Placing the item in an external magnetic field will result in the item retaining some of the magnetism on removal. Vibration has been shown to increase the effect. Ferrous materials aligned with the Earth's magnetic field and which are subject to vibration (e.g., frame of a conveyor) have been shown to acquire significant residual magnetism. A magnetic field much stronger than the Earth's can be generated inside a solenoid by passing direct current through it. Heating a magnet past its Curie temperature; the molecular motion destroys the alignment of the magnetic domains. This always removes all magnetization. Hammering or jarring: the mechanical disturbance tends to randomize the magnetic domains. Will leave some residual magnetization. Placing the magnet in an alternating magnetic field with an intensity above the material's coercivity and then either slowly drawing the magnet out or slowly decreasing the magnetic field to zero. This is the principle used in commercial demagnetizers to demagnetize tools and erase credit cards and hard disks, and degaussing coils used to demagnetize CRTs. Because human tissues have a very low level of susceptibility to static magnetic fields, there is little mainstream scientific evidence showing a health hazard associated with exposure to static fields. Dynamic magnetic fields may be a different issue however; correlations between electromagnetic radiation and cancer rates have been postulated due to demographic correlations. If a ferromagnetic foreign body is present in human tissue, an external magnetic field interacting with it can pose a serious safety risk. A different type of indirect magnetic health risk exists involving pacemakers. If a pacemaker has been embedded in a patient's chest (usually for the purpose of monitoring and regulating the heart for steady electrically induced beats), care should be taken to keep it away from magnetic fields. It is for this reason that a patient with the device installed cannot be tested with the use of an MRI, which is a magnetic imaging device. Children sometimes swallow small magnets from toys; and this can be hazardous if two or more magnets are swallowed, as the magnets can pinch or puncture internal tissues; one death has been reported. The term magnet is typically reserved for objects that produce their own persistent magnetic field even in the absence of an applied magnetic field. Only certain classes of materials can do this. Most materials, however, produce a magnetic field in response to an applied magnetic field; a phenomenon known as magnetism. 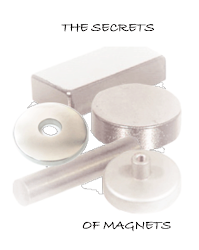 There are several types of magnetism, and all materials exhibit at least one of them. Ferromagnetic and ferrimagnetic materials are the ones normally thought of as magnetic; they are attracted to a magnet strongly enough that the attraction can be felt. These materials are the only ones that can retain magnetization and become magnets; a common example is a traditional refrigerator magnet. Ferrimagnetic materials, which include ferrites and the oldest magnetic materials magnetite and lodestone, are similar to but weaker than ferromagnetics. The difference between ferro- and ferrimagnetic materials is related to their microscopic structure, as explained below. Paramagnetic substances such as platinum, aluminium, and oxygen are weakly attracted to a magnet. This effect is hundreds of thousands of times weaker than ferromagnetic materials attraction, so it can only be detected by using sensitive instruments, or using extremely strong magnets. Magnetic ferrofluids, although they are made of tiny ferromagnetic particles suspended in liquid, are sometimes considered paramagnetic since they cannot be magnetized. Diamagnetic means repelled by both poles. Compared to paramagnetic and ferromagnetic substances, diamagnetic substances such as carbon, copper, water, and plastic are even more weakly repelled by a magnet. The permeability of diamagnetic materials is less than the permeability of a vacuum. All substances not possessing one of the other types of magnetism are diamagnetic; this includes most substances. Although force on a diamagnetic object from an ordinary magnet is far too weak to be felt, using extremely strong superconducting magnets diamagnetic objects such as pieces of lead and even mice can be levitated so they float in mid-air. Superconductors repel magnetic fields from their interior and are strongly diamagnetic.